When Warren Smith left Sun Records in 1959 he was, by his own account, a frustrated hillbilly singer. Nearly twenty years later he recalled "I had only three or four months to go on my Sun contract so I went to Sam Phillips and said, 'Let me cut some country. I'll still keep doing the rock stuff.' But Sam said 'No country!' so I just waited until my contract was up and then signed with Liberty." Although the sentiments are no doubt correct, the chronology is a little more complicated. Like Roy Orbison before him, Warren Smith had labored under Sam Phillips' dictum that Sun produce innovative hybrid rock & roll records. Generations of rockabilly fans may appreciate classics like Rock And Roll Ruby, Ubangi Stomp, Got Love If You Want It and Miss Froggie, but to an ole country boy like Warren, these sides were cause for vague uneasiness. They were basically black music and, while he and his sideman brought an undeniable white southern feel to them, the whole exercise seemed somehow unnatural. Warren Smith's soul was in country music. Shortly before his death in 1980, Warren told journalist Adam Komorowski, "What I really wanted to do all my life was to cut something you could call country." Warren's country side had surfaced sporadically, as if by compromise, on the flipsides of his Sun releases, yielding gems like I'd Rather Be Safe Than Sorry, Black Jack David or Goodbye Mr. Love. Freed, finally, from the yoke of his oppressive Sun contract, Warren was drawn to Liberty Records after a short, abortive stint at Warner Brothers; it was there his desire to be a country singer would be indulged in a big way. Liberty was entering the country music sweepstakes in earnest. Essentially a pop label since its inception in 1955, Liberty enjoyed great success with David Seville and his endless parade of Chipmunk novelty records. By 1959, however, Liberty was moving beyond the Chipmunks, Julie London, Patience and Prudence and Eddie Cochran. Liberty president Al Bennett was intent on entering the emerging marketplace for the Nashville sound. Their nascent country roster featured such writers turned vocalists as Hank Cochran and Willie Nelson. Fresh from a prestigious contract with the Sun label but plainly disenchanted with the experience, Warren Smith was ripe for the picking. Joe Allison, Liberty's liaison with the country folks, signed Warren Smith with the assurance that he would finally be free to be a country singer. Warren Smith and his wife Doris had left the South and moved to California in 1959. The family had been living in Mississippi, first in Greenwood with Warren's family, and later in Jackson. Rockabilly was suffering a lingering death and bookings were scarce. The horizon looked far brighter on the west coast and it was time to move on. Doris recalls, "Warren signed with Warner Brothers Records before we went out. He hoped something would come of it but nothing happened. It was pretty disappointing. He continued to appear in clubs out there and tried to get his career going again." The Smiths, with one child and another on the way, settled in Sherman Oaks, not far from where another Sun alumnus, Johnny Cash, lived with his wife Vivian. "We spent a lot of time with Johnny and Vivian. They were among the few people in the music business that Warren Smith shared with me. He generally kept music very separate from his family." 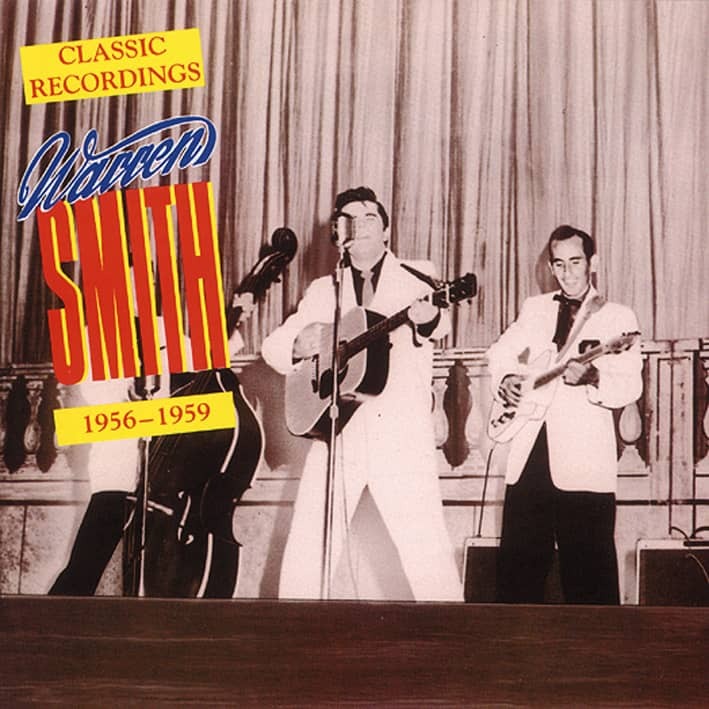 Soon after Warren Smith arrived in California, Johnny Cash offered Warren Smith a spot on his show. Cash was working steadily and it would have meant a regular income, not to mention wide exposure for his music, but Warren Smith declined the offer. Doris recalls, "I guess it was pride. Warren Smith was sure he could be a star and have his own show. He wasn't willing to play second fiddle for anybody, which is how he saw Johnny's offer. Carl Perkins said yes to the same deal and toured with Cash for years, during good times and bad. I always felt Johnny was trying to bring his old friends together, trying to help them, those that hadn't been as fortunate as he was." By the start of the 1960s, several things had happened to the Nashville Sound. It had become an undeniable force in the record industry. Its influence had spread far beyond music and, indeed, beyond Nashville itself. Country music had moved uptown into respectability, but that move had come at a price. The second thing that happened to the Nashville Sound, whether recorded in Tennessee or on the West Coast, was that it was becoming a staid formula. Producers like Chet Atkins may have been turning out chart successes, but their productions were often stultifying: routine four bar band intros, vocals smoothed over by the Anita Kerr Singers, Floyd Cramer's omnipresent piano figure, and regimented guitar breaks. A small group of composers and pickers all but had the town sewn up. Little wonder individuality was a rare commodity. Records were selling in unprecedented quantities, but the arrangements were slipping into mainstream banality. Nashville bubblegum music was evolving. Things were hardly better on the West Coast. In the capable hands of producers Joe Allison and Johnny Western, every attempt was being made to reproduce mainstream Nashville music. As Johnny Western recalled with pride, "We were the first ones to produce the Nashville sound out of Hollywood. We could take a pop studio and produce country music. Our pickers were first rate. Our drummer, Muddy Berry, was the Buddy Harman of L.A. Jim Pierce was as good a pianist as Floyd Cramer." Allison's credibility was especially high as he had just written one of the biggest country-pop crossover songs of all time, He'll Have To Go. It was in this climate that Warren Smith's career with Liberty Records was born. This is not to excuse or apologize for Warren Smith's records, but merely to set the context in which he worked. By the standards of the day, Warren Smith made some very country records. They featured prominent twin fiddles and steel guitar, and boasted just a single harmony vocal rather than a pop chorus. Warren Smith made some undeniably fine recordings during this period. His credentials as a first rate country singer were firmly established and his records found the marketplace they deserved. With the critical distance of nearly 30 years, there is an undeniable sameness to these productions, but the fault for what is the weakest here lies beyond Warren Smith. It is the sound of formula country music of the early '60s that weighs things down. Warren Smith enjoyed chart success almost immediately after signing with Liberty Records. His first single I Don't Believe I'll Fall In Love Today went to # 5 on the Billboard charts in the fall of 1960. Ironically, the flipside Cave In was the target of promotional efforts when the single was released, but its more conventional flipside soon took over airplay and garnered all the attention. I Don't Believe was a showpiece for everybody on the session, from Warren's smooth baritone, to Ralph Mooney's seamless steel picking, to the twin fiddles of Bobby Bruce and Harold Hensley. If the notion of an instant classic has any meaning to country music, then this song truly qualifies. It is hard to imagine the song becoming dated, as Barbara Mandrell's subsequent hit version strongly attests. The vocal harmony provided by Ray Sanders, a Liberty artist in his own right, set the pattern for virtually all of Warren Smith's Liberty recordings. Only the arrangement's walking bass line and marching tempo allow music archaeologists to date the proceedings as '60s country. On the flipside, Smith delivered an impassioned vocal as he told in a surprisingly upbeat manner the perils of being trapped underground. 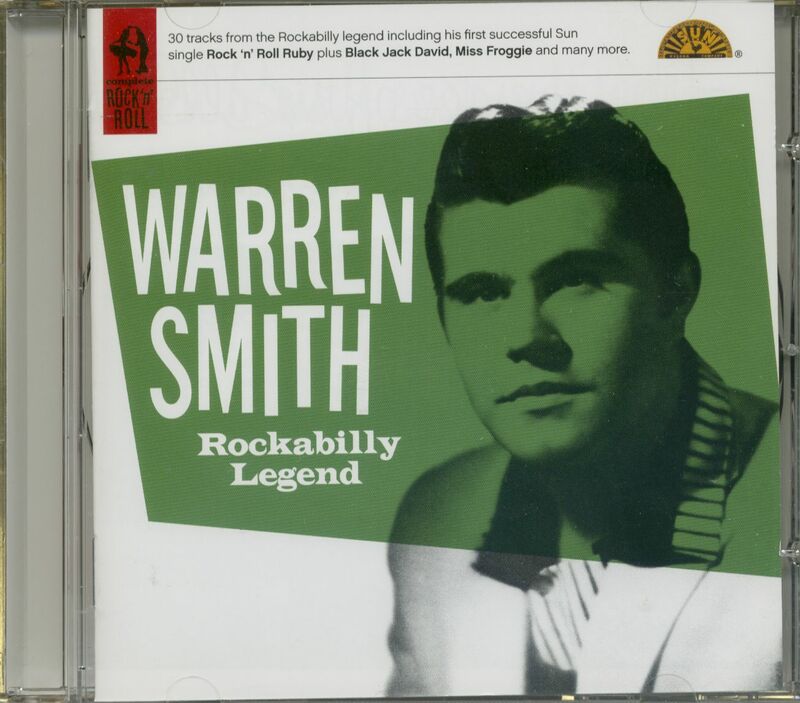 Both, the tempo and vocal style, here as close as Warren Smith came while at Liberty to reviving his rockabilly days. Ned Miller's composition Cave In must have been one of the more bizarre competitors for the country charts in 1960, ultimately yielding to the broader appeal of its flipside. Warren Smith's next recordings for Liberty again struck paydirt on the country charts. Odds And Ends, Bits And Pieces, another Harlan Howard song, reached # 7 on the country charts early the following year. This track showed that Warren Smith was one of the few artists carrying on the legacy of Ray Price's stylings from the previous decade. (Ironically, Price himself was soon to leave his best work behind for the fortunes and excesses of Nashville overproduction). On the strength of two successive chart entries, Warren Smith began work on his first L.P. This was a big event for Smith, who had by now enjoyed nearly ten single releases without seeing his face on an album cover. 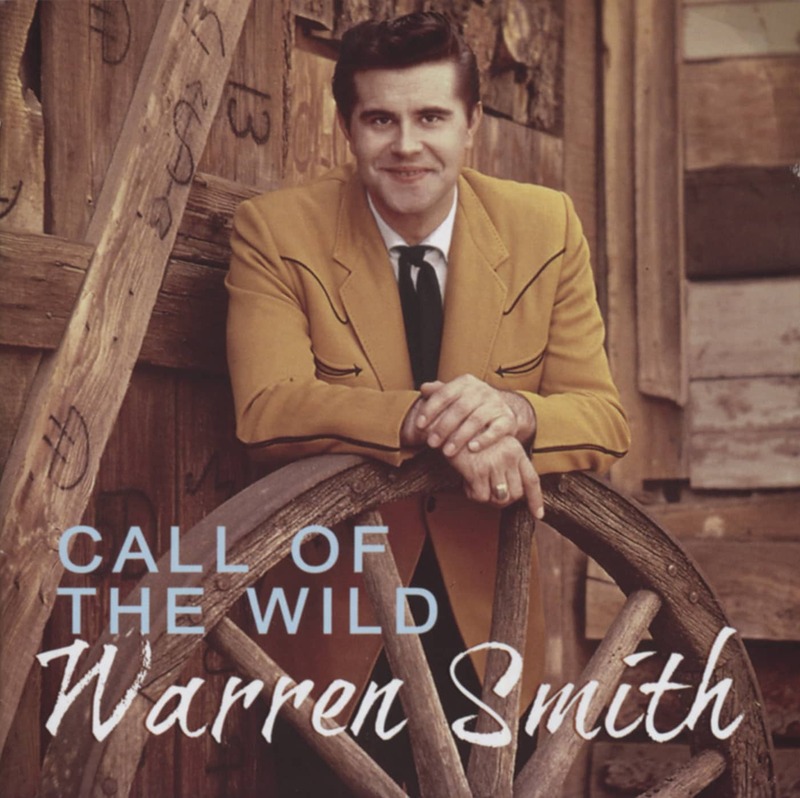 The results were worth waiting for: 'The First Country Collection Of Warren Smith' featured a flatteringly handsome color portrait of the singer, with laudatory rear cover notes by Johnny Western. 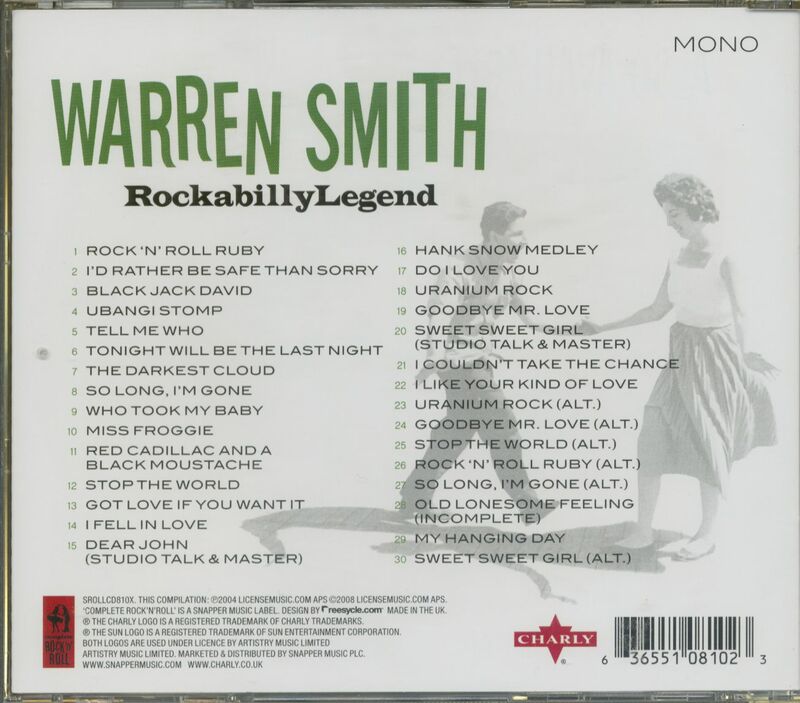 The track selection leaned heavily toward other folks' music, as Warren Smith reprised hits from a range of the day's most visible stars including Buck Owens, Patsy Cline, Charlie Walker, Sonny James, Eddy Arnold, Rose Maddox, Don Gibson and former label mate Johnny Cash. As producer Johnny Western observed, "That's the way albums were made in those days. One or two of the artist's singles, and as many familiar titles as possible." True to form, the lead tracks on sides 1 and 2 were the hit sides of Warren's two Liberty singles to date, whereas everything else was drawn from the general country charts.